What is Chinatown look like today? Singapore Chinatown today is very different from the old Chinatown. If you would like to hear some real stories and have a feel of what life it's like in the old days, you may have to pay a visit to Chinatown Heritage Centre for a historic tour at 48 Pagoda Street. I strongly advise you to take a look at Chinatown Heritage Centre official website. It presents you a short and sharp introduction of what the old Chinatown looked like in the past with many precious photos you can't find elsewhere. If you are looking for a cosy corner in some part of Chinatown where people there will smile to you and greet you by their heart, you will be disappointed. Chinatown has become a very commercialised place. Moreover, Chinese are very business oriented, they want your business more than any other things. However this touristy hangout is the place you should come if you are looking for a gift for someone. There are plentiful and cheap. 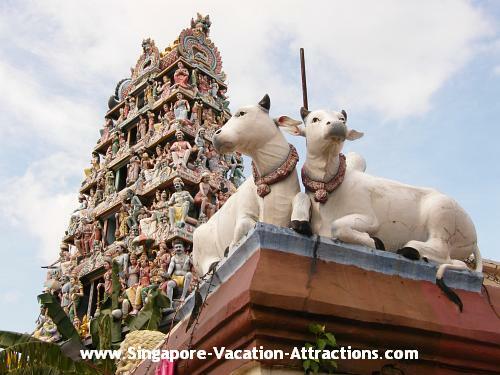 Beside shopping, another reason for coming here is to visit the mosque and temples and find out why the different races in Singapore can live together harmoniously. For those who enjoy viewing the Unique Architecture of Shophouses, they can be found along Neil Road, Blair Road, Everton Road and Bukit Pasoh Road. Last but not least is to get a unique experience of visiting a traditional Wet Market and in sampling few of the must-try Singapore Hawker Food at the nearby Chinatown Complex Food Centre.